Hello everyone! I hope you had a lovely weekend and are having a lovely week so far. I spent last weekend relaxing, crafting and spending quality time with my John. It had been a pretty hectic and exciting week the week before, so it's been nice to take some time away from everything including my blog over the last few weeks, and social media over the last few days. I wanted to make sure that this month my priorities were in order and it's all been worth while as you'll find out in just a sec. How has your weekend been treating you? I passed my NQT year! This week was probably the most important week of my career and I'm so proud to say that I have completed my NQT year and am now a fully fledged teacher. I cannot express how happy I am. It's the day I've been waiting for for a long time and I feel such a huge sense of success and achievement from this. I didn't have the easiest journey but with a little resilience, perseverance and self-belief, I did it! Just over a month ago, I finally bought my dream car and am now driving a smooth mint Fiat 500. It's such a gorgeous car and I'm still so smitten for it! This weekend I spent some time making a dream catcher and now I've got the itch to make a couple more. I even went out to buy wool so I can have a go at making one I saw on Pinterest for our bedroom. Recently, I've been reading As Old As Time by Liz Braswell which is an alternative twisted version of Beauty and The Beast. It's taken me a bit too long to get back on the reading wagon again but I'm back on it now. Recently, I decided to dedicate time each evening to reading a chapter or even just a few pages to help me get back into reading and also time to wind down before I go to bed. Since I stopped blogging about my bullet journal, I've felt a lot happier about it. Before I felt a little pressure to post something really good every month but now I really like experimenting with themes, colours and being as creative as I like without the worry of posting it online. For April I'm trying something colourful and floral. It is the nicest vegetarian pizza on the menu. It has spinach, black olives and a big soft egg in the middle with all the cheese you could want. I had it the other day and I really want to have a go at making it at home! My little hamster has been stealing my heart everyday since the 1st December 2018. I love him so much and I can't get over how lovely, sweet and adorable he is! I recently ordered some things from Nobody's Child and I think I found a new favourite brand. I'll be posting some outfits with pieces from them soon. I bought contact lenses the other day and it's been so nice not wearing glasses all the time. I forgot how much I enjoyed wearing lenses instead. I went back to some I reviewed a couple of years ago. I remembered that I really liked them and wanted to use them again. Who else is watching it and who's our favourite to win? I really like Plastique Tiara and Brooke Lynn Heights. Oh and not to forget Miss Vanjieeeee! I'm really excited to be revamping and restarting this series again. I always enjoyed writing these posts and practising gratitude through them so I don't know why I ever really stopped. It gives me time to think and consider what has truly made me happy. It's something I recommend anyone try weekly, whether you think it, blog it or just write it down in a notebook. Identify 10 things that have made you happy that week no matter how big or small it is. I really want to start posting these more consistently mid-week so that I can keep my weekends free for my style and lifestyle posts. I've decided to basically be a 'weekend blogger' from now on so that I can keep a healthy work-blog-life balance too. I'm hoping this way I can get back to being more consistent here and post quality content. I hope your week is treating you well. That's so nice! 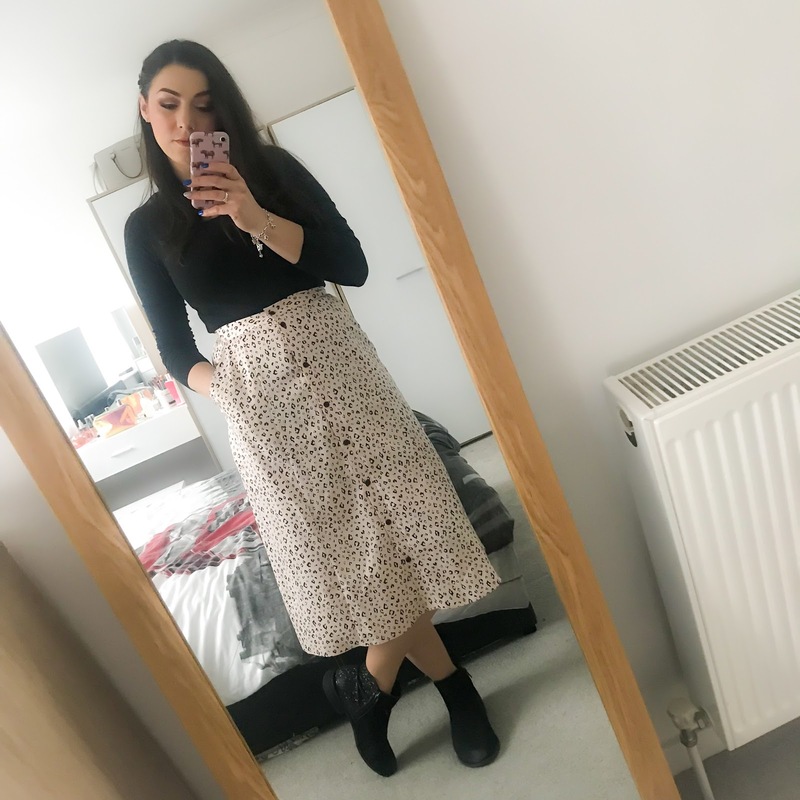 I think you should - it's a beautiful skirt!